***I just finished reading a book called The Nightingale. Nazi Germany rolled into France and caught its citizens by surprise. The world changed quickly and dramatically. The two main characters, sisters Isabelle and Vianne, come to a realization of what is happening in different ways…at different speeds. Isabelle is young and single. She responds to the horrors of war swiftly and boldly. She joins the resistance immediately and smuggles downed Allied pilots across the border into Spain. Vianne is focused on making sure her daughter is safe. She believes she can ride out the occupation, or perhaps remain insulated from the worst of it, but the grave circumstances slowly become too difficult to ignore and Vianne risks her safety and life to secret away Jewish children to protect them from concentration camps. Both characters eventually resist the Nazis. But they differ in when and how they are moved to act. ***I just visited the National Civil Rights Museum. I read stories of people struggling against attitudes and institutions that limited our fellow citizens. The very act of speaking out put their lives at risk. I am struck by the images of black and white activists standing together. Without a doubt, the black resisters were more vulnerable, but the white advocates could have chosen to do nothing and suffered few consequences. Yet they did not. Numbers can be argued, but I’ve read that nearly 60% of the American public supported the civil rights movement, but just 10% chose to act. What stopped the other 50%? What held them back? I am drawn to the language used to describe the change makers of history…radicals, trouble makers, rabble…history is clear in hindsight…it is less so as it happens. ***Two days after Trump writes his executive order aimed at immigrants and refugees, I find myself in a room of immigrants and refugees. I am in Memphis, my exhibit installed at the Center for Transforming Communities. Each day, I visit with different groups. After-school student programs. Leadership circles, community networks…and today, English language learners from the Refugee Empowerment Program. They gather twice daily to practice our language, even as some are fluent in two or three other languages. A dozen countries are represented in the room. Some of them included in Trump’s ban. Yemen, Iraq, Somalia. We practiced simple concepts like the words for nose, eye, ear, and mouth. I talked about life in Minnesota and stories of snow. Several of them had seen snow. Only one had liked it. 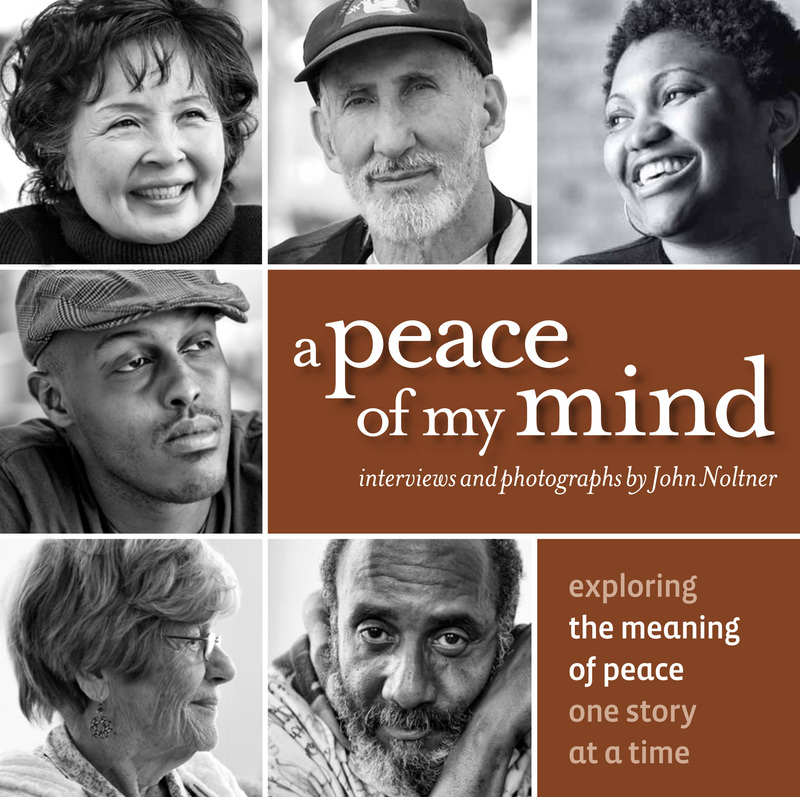 We explored complex ideas like peace and read stories from the exhibit. The more advanced students translated for the beginners. These are the people we are talking about. All abstractions are out the window. There was a consensus in the room…there was no peace in their home countries. They finally found peace in America. If you want a knee jerk response to a politically charged issue, Trump’s moves might feel good. But they don’t hold up under scrutiny. People smarter than me will tell you that these moves do not make us more secure. In fact, they marginalize some of our most important partners in security. And at the same time, they destroy the humanity of many who deserve our compassion and help. We can talk about economy and the businesses that will be hurt. We can talk about constitutionality and the vision of our founding fathers. We can talk about effective security and real measures for making us safe. We can talk about humanity, and the morality of how we treat the most vulnerable. Any way you look at it, this doesn’t make sense. Humam Taha is an Iraqi who translated for the Coalition forces during the Iraq War. I met him in Texas. His story is in my new book. Humam faced a significant risk to serve our country and when his life was threatened, he was offered sanctuary in the United States. I believe under the new rules, he would have been abandoned. It is unconscionable. This position is not about Democrat or Republican. It’s not about partisan politics. This position is about humanity. It’s about morals, faith, integrity, and effectiveness. If I have any sort of voice, I will use it to resist. Where do you stand?